Order happy! thank you! I recommend store! 42-44 good size, after washing the manual did not sit down, cold in the summer heat in any dress from it is not hot, the cotton clothes-perfect slides under капрошки is not checked. on breast size 3 village well. With chic linen looks awesome! The quality corresponds to the price. The order arrived on time. Excellent communication! Super fast shipping and delivery. Genuine silk from burn test. Fits very well. The breast foams are left outside when you get it, but you can easily insert them yourself. The bra part is a bit on the small side, I wish the areas are a bit larger. But they for me okay because I have asian body. But I can see that for other people they may be a problem to not fully cover the breasts. Knit silk is awesome as they have no pressure points, very soft and sleek like water on your body. Great product for the price. 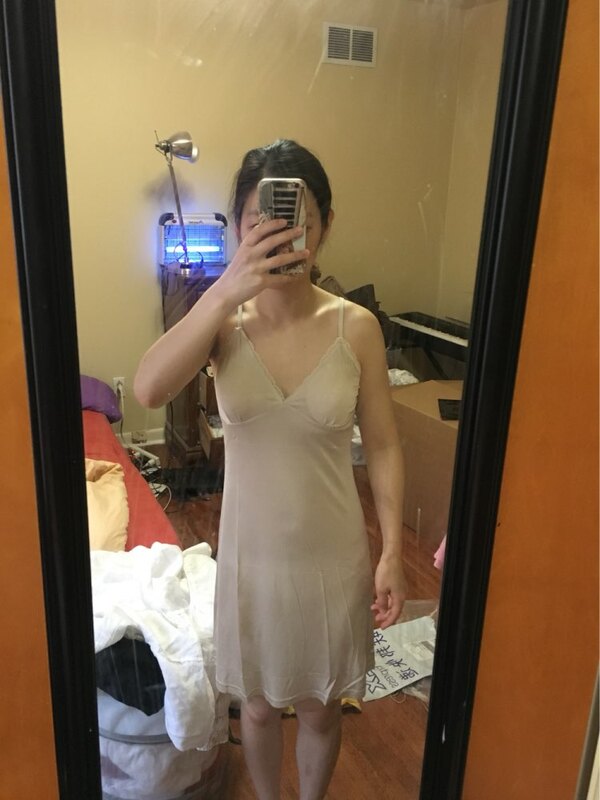 This beige color is perfect for any dress I wear that will be see through. Especially white ones. Now I don't have to worry about wearing see through dresses anymore! Just what I needed! Its wery beautiful and great choice. i'll order another one. I am very satisfied with both the goods and the service. The product corresponds to the description, the size grid is the same. The combination is silky and electro-elastic, straps are adjustable. In the parcel were attached pads to increase the bust :) The store is pliable, the delivery is fast. THANK YOU! Thank you! very high quality shirt. a special thank you for a gift-socks.